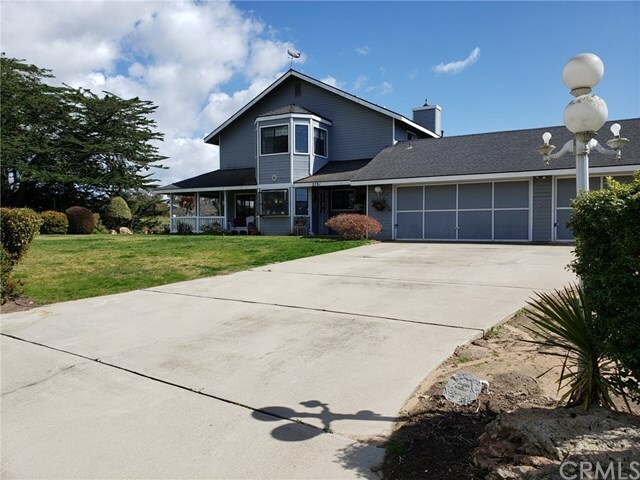 This 3 bedrooms 2.5 baths (2976sf) two level home is in a fabulous rural location situated on a 17,200 Sft lot. Features a wrap around front porch, open kitchen with breakfast nook, sunroom with lots of windows. Upper-level master bedroom has a view of the ocean. Rear yard has beautiful views of the hills. There is a fenced in garden and inviting gazebo. Three car garage (one bay used as a workshop.) Rural living yet conveniently located to golf, beach & shops. This home needs some TLC to make it your own. Call your realtor today for a viewing.